When buying and storing locally produced American lamb, let color be the guide. Look for meat with a soft pink to red color with white marbling. Most likely, fresh chops, legs, shanks and racks and ground lamb are displayed, but if you don’t see your favorite cut of local lamb, just ask. Store fresh American Lamb in the refrigerator or freezer after purchasing. Fresh lamb should be refrigerated at or below 40 degrees. Ground lamb and stew meat should be used within 2 days. Use chops and roasts in 3 to 5 days. After thawing in the refrigerator, use previously frozen lamb roasts and chops in 3 to 5 days and ground lamb and stew meat in 1 to 2 days. Meat defrosted in the refrigerator may be refrozen before or after cooking. However, there may be a loss of quality due to the moisture loss. Leave frozen lamb in its packaging, making sure it is airtight; transfer it to a leak-proof bag if you’re uncertain. Submerge the package in cold water, changing the water every 30 minutes until the lamb has thawed completely. Lamb that is thawed to room temperature should not be refrozen without cooking first. 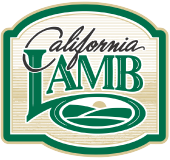 To maintain its outstanding flavor, fresh California lamb should be served within 4 days of purchase unless the package lists an extended use by date. Meanwhile, keep lamb in its store packaging or loosely wrapped in plastic wrap or aluminum foil in the coldest part of the refrigerator at a temperature between 32˚F and 40˚F until ready to cook. If the lamb, other than ground lamb, is to be stored more than 4 days, it should be frozen. Ground lamb should be used or frozen within 24 hours after purchase. Lamb to be frozen should be tightly sealed in air-tight packaging to prevent freezer burn. In the freezer, at 0˚F or lower, lamb will keep for up to 6 months. Frozen ground lamb is best when used within 4 months of purchase. Defrost frozen lamb in the refrigerator, not at room temperature, securely wrapped and placed on a plate prevent juices from dripping.